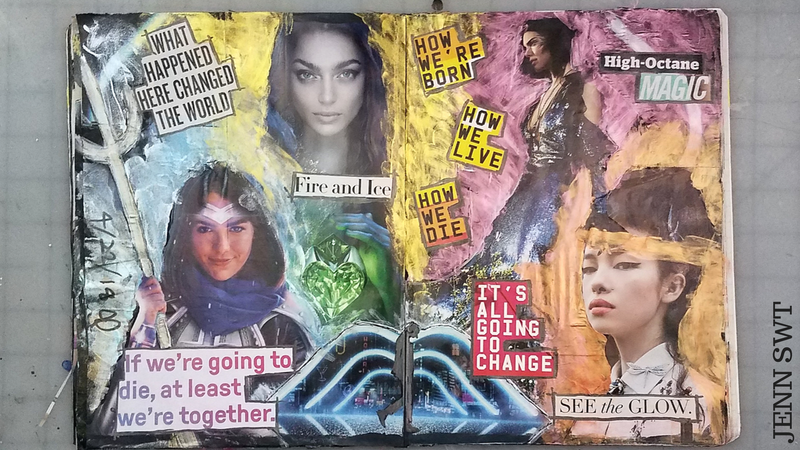 After months of not being able to play in my art journal, I was finally able to set down and make a page. I finally broke through my Art Journal Block. Oh my gosh, It feels so good! And what a page to come back with! I love it! I don't ever have any plan when I set down to journal. This is why I have to voice over my videos after the fact. I just let the page go where it needs to and hope I end up with something neat at the end. As usual, I started by finding one image that spoke to me and digging through my box of collage clips to find some pictures to work with it. Apparently, my inner 90s nerd self took the reins that day and I was super happy about it. I used to spend my afternoons after school in front of the TV watching shows that centered around groups of friends that fought evil and protected those around them: Thunder Cats, Sailor Moon, Ronin Warriors, Captain Planet, Power Rangers, and many more. This page brought me back to that and reminded me that it's never too late to add a little magic to my day. 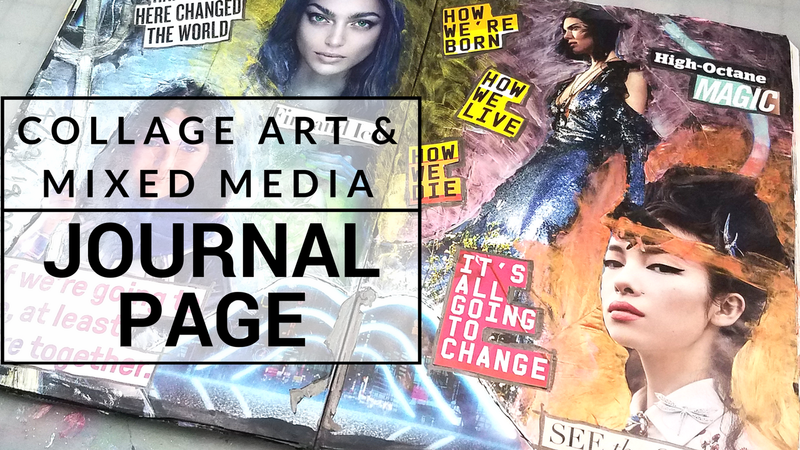 Art Journaling doesn't have to be complicated or even require any special skills. For me, it's all about finding something that you enjoy and takes you away from the stress of the day to day. There are no rules. There are no entry requirements. There is just going with it and having the experience of creating something.